Amul is set to expand its operations to Darrang, Morigaon and Nagaon districts in Assam to support indigenous dairy farmers. 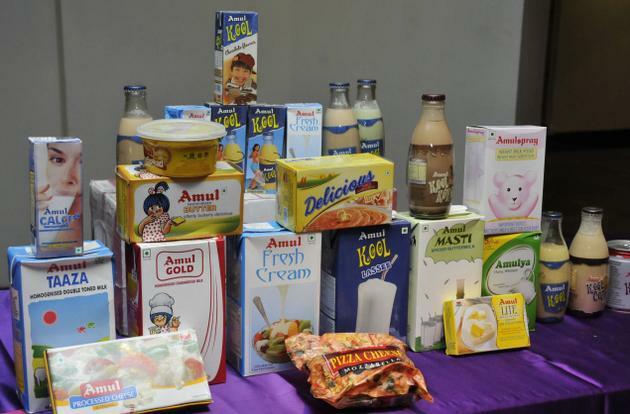 The Gujarat Cooperative Milk Marketing Federation Ltd, which markets Amul products recently initiated milk procurement from remote villages in Assam after the launch of the Amul milk production unit on the outskirts of Guwahati. Although the cooperative initially faced problems in milk procurement, they were successful soon with dairy farmers from neighbouring areas like Barpeta, Bongaigaon and Nalbari showing interest in forming milk producers’ welfare associations (MPWAs). Around 12 MPWAs have been formed and two bulk milk coolers have been set up at Tihu in Nalbari and Kokila in Bongaigaon. The Tihu bulk milk cooler, which started operations on Thursday, collected 1,200 litre milk from four MPWAs on the first day. 160 farmers have benefitted from the association and Amul is planning to increase the number to 1,000 producers within three months. The Kokila milk cooler will start operations by April third week with a targeted daily milk collection of 4,000 litres from eight MPWAs on its first day of operation. Amul plans to collect 10,000 litres of milk daily in the next three months from Kokila and Tihu. In the future, Amul also has plans to enter the Barpeta road area to initiate milk procurement. Amul’s total investment in Assam will be about Rs 1.50 crore. By the end of 2018-19, Amul is planning to expand operations to Darrang, Morigaon and Nagaon districts to partner with about 25,000 farmers and form 35 MPWAs with a daily collection of 26,000kg milk at an additional investment of Rs 3 crore.